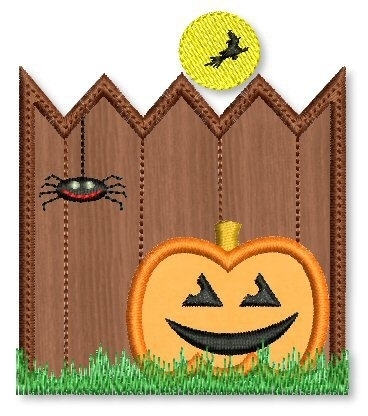 Add this spooky fence to quilts, wall hangings and more! Comes in 4x4, 5x7 and 6x10 sizes. Halloween Applique Set- 6 Designs, 2 Sizes! Finish Size 3.34" x 3.87 "
Finish Size 4.81" x 5.64"
Finish Size 5.98" x 7.01"